Ring in the New Year in sunny Southern California! 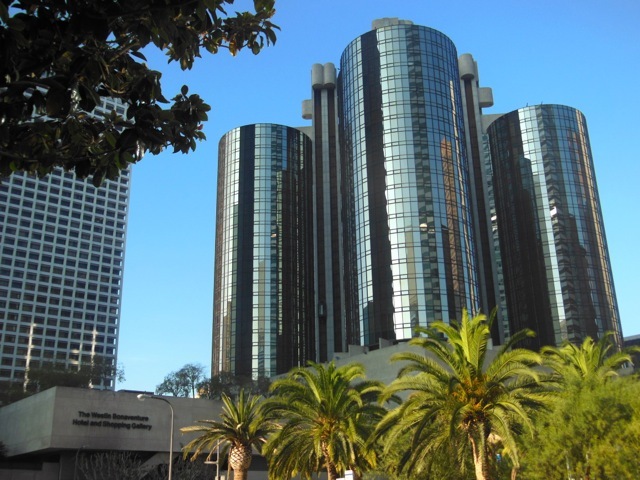 The Westin Bonaventure in sunny Los Angeles, our home for the first part of our California adventure. 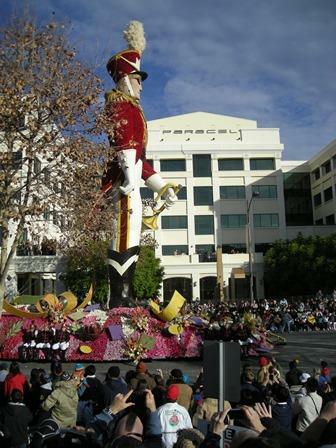 We’ll have a front row seat for the biggest parade on the West Coast, the Tournament of Roses Parade, we’ll pay a visit to BandFest and listen to all the marching bands participating in the parade, toast the New Year at a southern California gala, take in the parade then head to San Diego for a few days. Care to join me? Our southern California adventure begins in Los Angeles and we’ll gather and meet everyone before heading to Pasadena and BandFest. We’ll go up close and personal with the Tournament’s parade staff as we watch floats being decorated with thousands upon thousands of roses. Following which we’ll attend BandFest featuring marching bands from across the country participate with their dancers and performers. We’ll return to LA that afternoon for some sunny California cuisine. Float team readies for their final preparation for the Roses parade. On New Year’s Eve we’ll meet Gala Dinner featuring live music and entertainment and an evening toast with champagne. 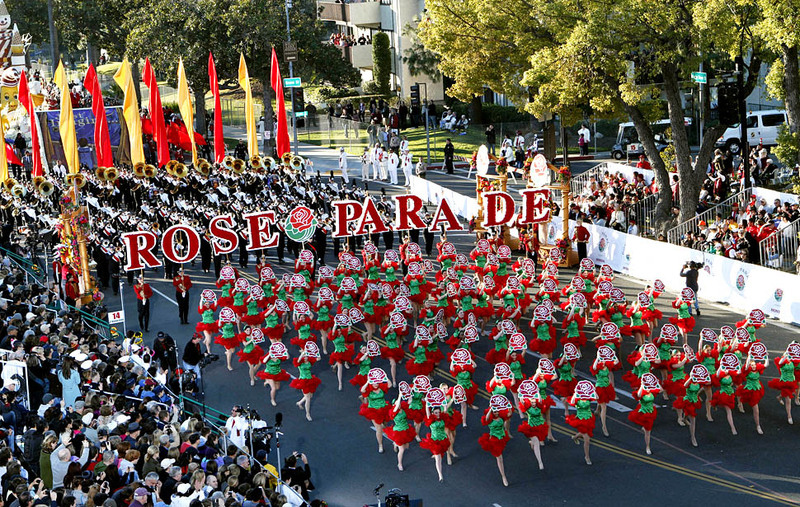 The next morning we’ll head back to Pasadena for the Tournament of Roses Parade, a grand tradition since 1890. More than one million folks will line the parade route yet we’ll have reserved parking and premium seating for prime viewing. 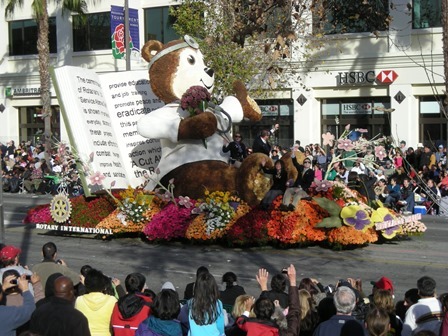 The Rose Parade is Americana at its best. 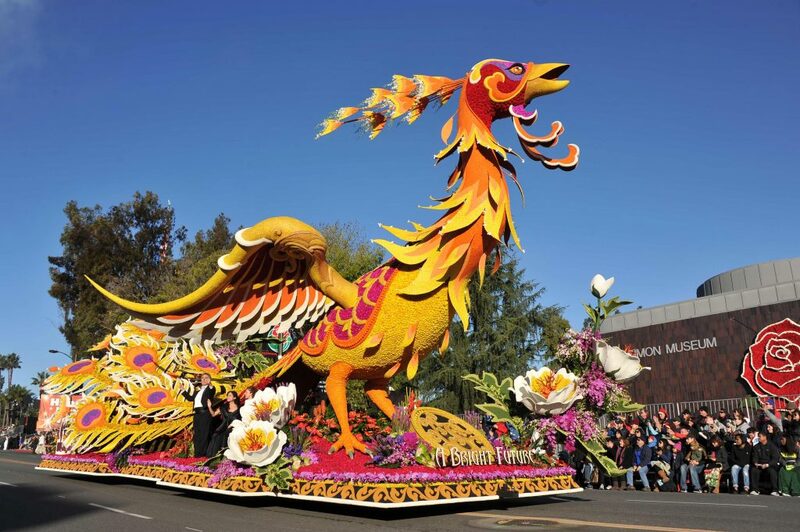 The Tournament of Roses Parade features one-of-a-kind floats meticulously decorated with fresh roses. Marching bands from across the country will provide live music on a grand scale. Rotary International float from a few years back. After the parade we’ll head south to San Diego and its world-class beaches, restaurants, zoo and gardens. 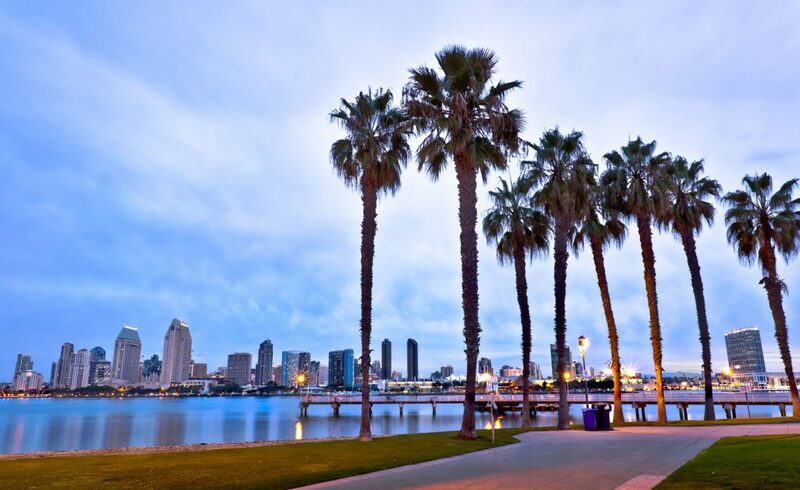 On our second day in San Diego, we’ll join a local guide for a tour of downtown, the Gaslamp Quarter, Balboa Park, Coronado Island, and the Old Town. 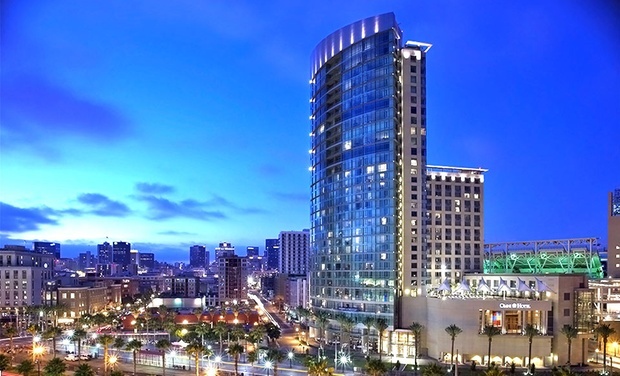 San Diego’s Omni Hotel. Our home for the second part of our southern California adventure.